Professional Helicopter training since 1986. 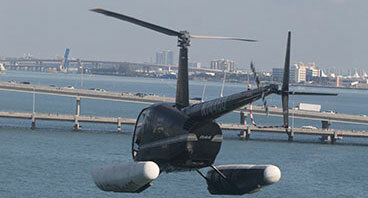 Helicopter Academy provides top quality pilot flight training for everyone ranging from private to professional pilots. We are the only flight school in the world that can guarantee graduates a job. For about $81,750 of flight time we will train you from zero to 300 hours to include the private pilot certificate, the commercial pilot certificate and the instructor pilot certificate in our Robinson R22s. Your first hours of dual instruction are billed at $300/hour. When you complete your private license the remaining hours are $250/hr. 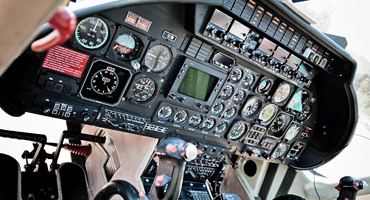 You can complete your private pilot certificate training in as little as 35 hours. After the private rating you'll do almost exclusively photo flying with an instructor and will learn this skill that is valuable to our photo contract and making you a valuable pilot to us. When you approach the 300 hours you'll need to take the instructors rating (CFI) for $5000 and we'll give you a job like we have to every graduating pilot since our founding in January 1986. (35 hours x $300 hour [$10,500] + 265 hours x $250/hour [$66,250] + $5000 CFI class = $81750. We recommend you get 25 hours in the larger Robinson R44 costing an extra $250/hour for these flights although not a requirement for a job with us. An Instrument rating also available for $10,000 (which is 30 hours in the R22 and 10 hours in our Fly It Simulator; expect to fly 330 hours total for the career program) and we recommend this rating but it is not required for a job with us. We have been in seamless operation with the same owner/manager and a large fleet of properly maintained rotorcraft. This school is authorized under Federal law to enroll non-immigrant alien students at our FAR part 141 flight school in Hollywood, Florida location. See details. We offer free housing for bachelors flying 20 hours per month or more in South Florida where you can fly every day of the year! If you can’t come to Florida we can usually keep you in your job and in your bed and bring an rotocraft to you. We know of no other helicopter training flight school that has more nationwide locations than we do or that can guarantee you a job if you meet our simple insurance requirements of 300 hours logged flight time and instructor rating obtained at our school. See our video page to get a cockpit view of the type of flying you will be doing. From Private to Commercial Pilot, we offer programs that will take you from 0-300 hours and a job! For pilots who hold a helicopter commercial pilot certificate rating and wish to become a flight instructor. 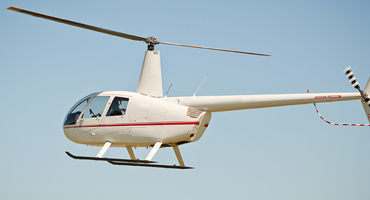 The helicopter add on rating program is intended for people who currently hold a private pilot certificate or higher. Just want to say thanks, I came to your school with 0hrs, after going around in others schools all over the country, I picked your school because you worked the location with me, excellent ground preparation (never failed a check-ride),really good and knowledgeable CFI (Instructor) and the work 100% guaranteed after I finished all my license. You gave me my first job as promised, which was really fun and really good experience with the real world( not flying in the same airport like all the other instructor jobs, I flew all over the USA which was real fun at the same time making real experience), and after reaching 700hrs you got me my first Turbine job (thanks again for that), so I have no word how to say thanks to Mr. McDermott for making my dream to became a Helicopter pilot come true, and for the excellent and fun experience as a student and employee. I called Tom, learned about the school and a couple weeks later I was flying. I went from 0 to 300hrs and got the job just as promised. It was a great experience and now I'm flying tours and moving up in the helicopter world! Thank you Helicopter Academy for getting me started and all the help along the way!